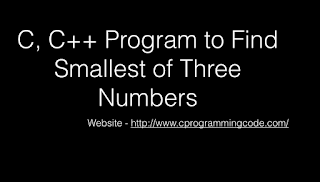 Write a C, C++ program to find smallest of three numbers. Given an input three numbers, We have to write a code to find smallest of three numbers. In this question, We take three input numbers from a user and print the smallest of three numbers. 1. Declare three variable a ,b, c.
2. Compare a with b and c. If a is smaller than b and c than a is smallest among three numbers. 3. Compare b with a and c. if b is smaller than a and c than b is smallest among three numbers. 4. Else c is smallest among three numbers. Program to find smallest number in an array. What if I enter all three as same number. It should write smallest of three as the same number. Isn't it? 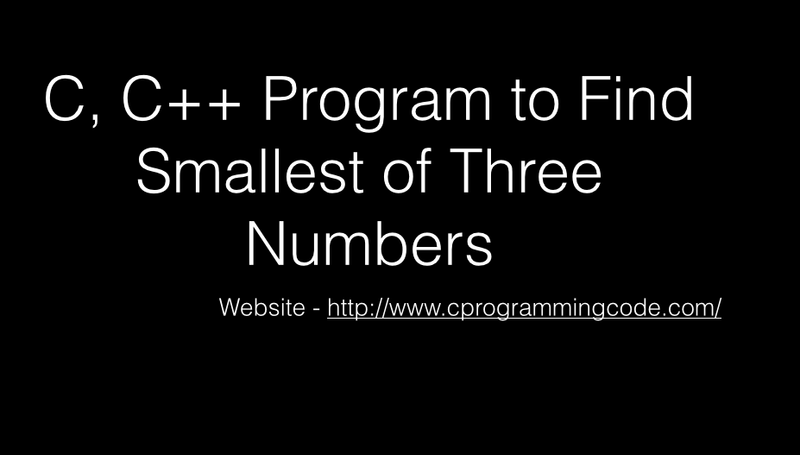 What if I want the program to find the smallest number from 6 numbers?